In early December, I lost the most important person in the world to me. 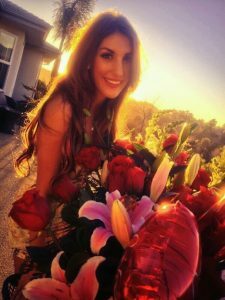 Most people knew my wife as August Ames. To me she was simply Mercedes. Mercedes made a choice about her body and she was viciously attacked for that choice on Twitter. That day, she and I discussed the things happening on Twitter and the individuals involved. Mercedes decided that evening to go the gym to alleviate some of the stress. She then disappeared. Fifteen minutes north of us, the fires in Santa Paula started. The winds gusted to 50 miles per hour. When I couldn’t get in touch with her, I became very worried. I went to the gym and she wasn’t there. Then the power went out in our area. With no power, spotty cell service, and wind that made it difficult to walk or drive, I began looking for her. I called the police. I called hospitals. But with the fires and the power outage, help wasn’t coming. I cannot describe the dread I felt standing outside, in complete darkness in a wind so powerful it could push me over. I spent the night driving around trying to find her and having no idea where she could be. The next day, the coroners contacted me. My world and her family’s world were instantly shattered. Mercedes was magnetic. She had a kindness in her that I had never experienced before. I once had a shingles infection in my cornea that caused an erosion. I had to sit in a dark room wearing these crazy sunglasses. I was in incredible pain and couldn’t do anything. Moreso, I was horrible to be around. For those several weeks, she took care of me like no one ever. There was no one like her. No one who transformed my life in such a positive way. She made me a better person. The night that she disappeared has played on repeat in my mind thousands of times. What could have I done different? Guilt dominates my thoughts everyday. I hate life without her. It is a cruel existence devoid of color. Perception shapes reality and for a younger generation that reality is social media. That day she believed everyone hated her. She could not see past that. Social media has become a cancer on our industry and on society at large. This isn’t the first death from social media and it won’t be the last. Two weeks after she died the police returned her phone to me. I was able to access it and was not prepared for what I found. She took screenshots of everything. All of the bullying. It is all there on her phone, including many of the tweets that have since been deleted. She left it for me to find. Since her passing, her family and I are stunned as the bullies now engage in blaming the victim. They use past events, things she was very open about, to deflect their own involvement. Jaxton Wheeler has even posted malicious lies about her, knowing full well she cannot defend herself. As of this statement, Mr. Wheeler continues to take no responsibility for his actions (click here). What do you expect from someone who told a young women to take a cyanide pill and threatened her defenders with violence? If you fire a gun into the air and that bullet randomly hits someone that you never intended to kill, you still killed them. I write this to make it crystal clear: Bullying took her life. If the harassment had not occurred, she would be alive today. She ended her life the day after the bullying began. To think they are unrelated is delusional. One isn’t planning to take their life when they just bought a new kitten that they adored. One isn’t planning to take their life when they bought plane tickets to see their family at Christmas. One isn’t planning to take their life when they bought a bridesmaid dress for their best friend’s wedding next summer. Her death didn’t just affect her family. Unfortunately other performers have been deeply affected by this and have in turn attempted to take their own lives. Thankfully they were stopped. This event has caused a chain reaction with far-reaching implications. On January 18th the XBIZ Awards show is taking place at the JW Marriott in Los Angeles. Mercedes is a nominee for awards that night. The host of this award show, Jessica Drake, was involved in the bullying that occurred on social media. Ms. Drake claimed she did not know Mercedes and did not tweet at her directly. This is false. She did and this link proves it (click here). She deleted those tweets and then denied that they ever existed (click here). Mercedes herself said to me, “Jessica Drake hates me,” several hours before she disappeared. Ms. Drake has chosen to be a spokesperson for this industry. In doing so, her words carry more weight. Ms. Drake caused irreparable harm by using her followers and stature in an attempt to silence and bully a young, impressionable woman. The deleted tweets show that she knew exactly who Mercedes was. Ms. Drake could have stepped down as the host of the XBIZ Awards and shown herself to be a person of great character. If she had, she would have cemented her stature as an icon in this industry by taking responsibility for her actions. Instead, her and her partner, Brad Armstrong, have chosen to threaten Mercedes’ defenders with a production blacklist. They view anyone who has defended Mercedes as their enemy. A young woman lost her life and these two individuals are more concerned with themselves. Both of them are contracted to Wicked Pictures. Do Ms. Drake and Mr. Armstrong speak for Wicked Pictures? However, there is information that has never been made public that calls into question Ms. Drake’s motives. In 2017, Mercedes filed a legal complaint against Axel Braun, who, like Ms. Drake, is also under contract to Wicked Pictures. That hearing date now approaches. It is my belief that that the real reason Ms. Drake engaged Mercedes on social media was as a form of punishment for her legal action against another Wicked Pictures employee. Since her death, neither Ms. Drake nor anyone from Wicked has contacted me, which only reinforces that opinion. Those are the actions of a guilty conscious, especially when you consider my own long-standing working relationship with Wicked Pictures. The XBIZ Awards either plan to ignore the fact that one of the industry’s most popular performers has died, or have their host involved in some form of memorial. That idea is revolting to Mercedes’ family. What kind of message does that send to all female performers? That if your death is inconvenient you don’t matter? That you are disposable? If that wasn’t bad enough, XBIZ has also threatened those who have decided to not attend in support of Mercedes, in not presenting their awards. That only illustrates the hypocrisy of Alec Helmy, XBIZ’s owner, since he has the gall to use her death as a teachable moment about free speech. If Ms. Drake and Mr. Helmy are so incapable of empathy, then perhaps they should pick up the phone and talk to Mercedes’ mother. Her mother is a veteran who served her country with two tours in Afghanistan and now suffers from PTSD. She has now lost her daughter as well. Mercedes’ death has also put her mother in the hospital. At no point have any of these individuals put themselves in her family’s shoes. Imagine if it was you that lost your spouse, your sister, or your child in this way. How would you really feel? Instead, her attackers have chosen to make weak apologies followed by statements about themselves in some misguided attempt to alleviate their own guilt. That is myopic narcissism. This isn’t about you. It is about Mercedes. It’s about her mother. It’s about her young sister. It’s about her best friend from childhood who talked to her nearly every day. The individuals involved in her bullying could have done the right thing. After she died they could have chosen to delete their Twitter accounts and let those of us who are broken by this death have time to grieve. These individuals have the luxury to continue to live, to spend the holidays with their families, to continue to work, and also to one day return to social media. Mercedes doesn’t have those luxuries. That was taken from her. Mainstream Hollywood is having a watershed moment. This is a watershed moment for this industry. Female performers have a right to make whatever choices they want with their bodies due to the highly intimate acts they are performing. No agent, no company, and certainly not social media gets to have any say in what a women chooses. Women endure a greater risk in performing than men do. The women in this industry deal with not only a physical toll, but also receive intense societal judgement for working in the adult industry. To attack a women for what she chooses to do with her body is misogyny. The women who choose to perform are the bedrock of this industry. It doesn’t exist without them. Now one of the biggest, brightest young stars is dead and that blood is on all our hands. The performer community does not have adequate access to mental health services. While Mercedes did have professional support that cared about her, it was unnecessarily hard for her to find someone who would treat her. Our industry appropriately emphasizes testing and physical health, but the mental health conversation has conveniently been swept under the rug. We need to step up as a business and make this a priority. Words fail me on how to express my appreciation for those who have defended Mercedes. To her friends and fans that continue to show their support, I deeply thank you. To those currently threatening performers for defending Mercedes, let me remind you that you can’t threaten me and you can’t bully me. I’ve already lost everything. There is nothing more for you to take. I’m not going anywhere. I will always be here to remind everyone what a colossal soul Mercedes was. On January 10, we filed the first of several lawsuits related to Mercedes’ death. 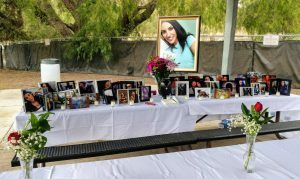 This suit was filed against the Ventura County Medical Examiner’s Office for releasing confidential and private information regarding her death. They are legally allowed to release documents associated with medical reports or public documents; however they may not publicly release details simply because the public finds them of interest. The suit alleges negligence, negligent infliction of emotional distress, internal infliction of emotional distress, and public disclosure of private fact.